Easily manage your auction items from start to finish. 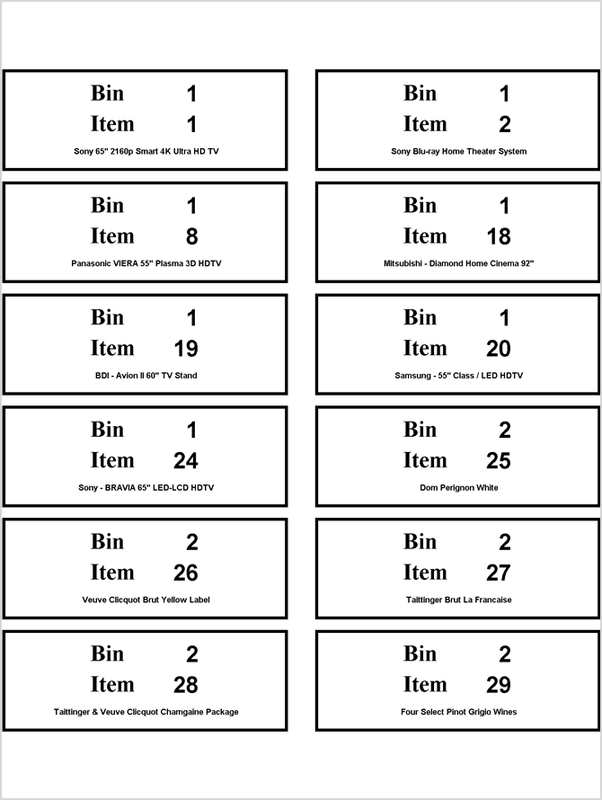 The auction item screen is organized for quick data entry throughout the auction cycle. 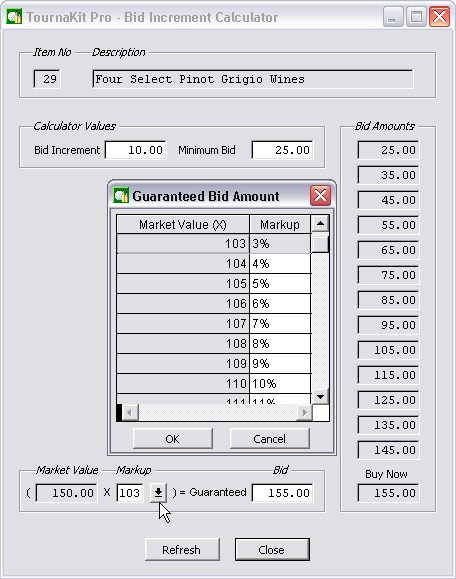 Auction item specific information is entered manually once. 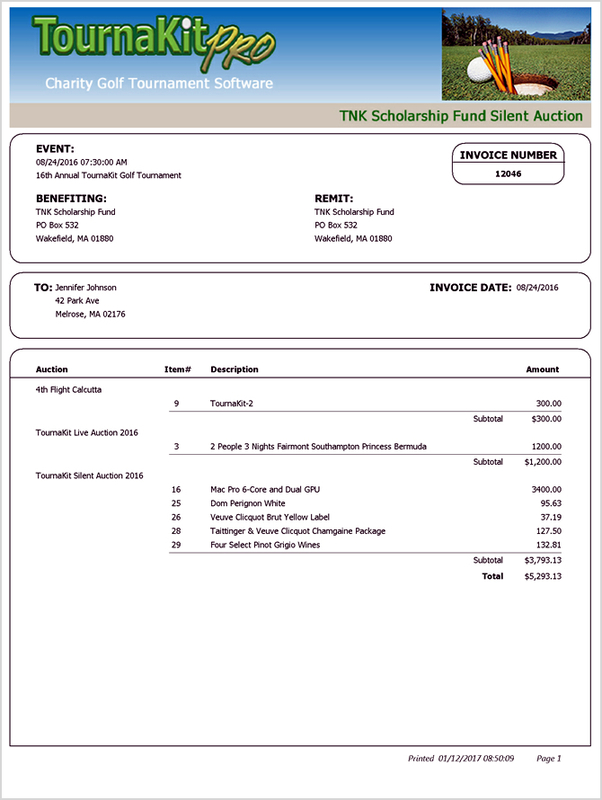 TournaKit Pro's Bid Increment Calculator will help you over the first speed bump when determining the silent auction item 'Buy Now' amount and the incremental bid amounts. 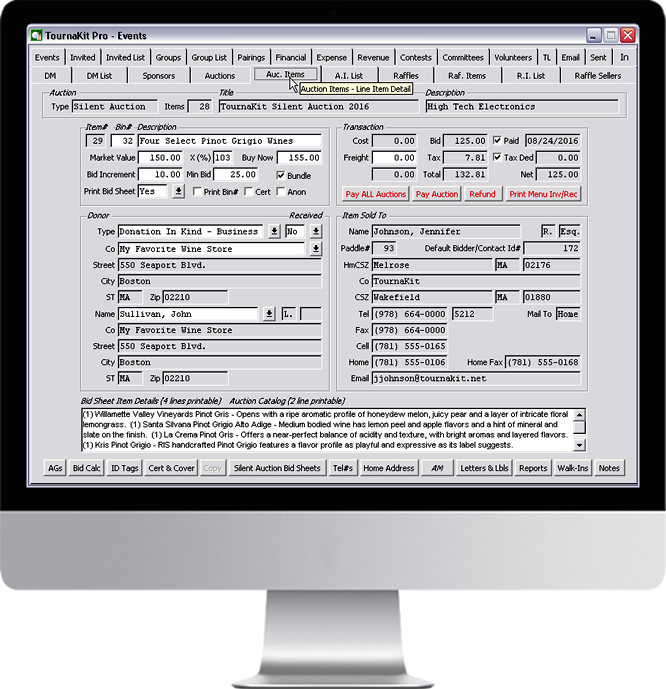 TournaKit Pro auction software will replicate the auction item data automatically where needed i.e. 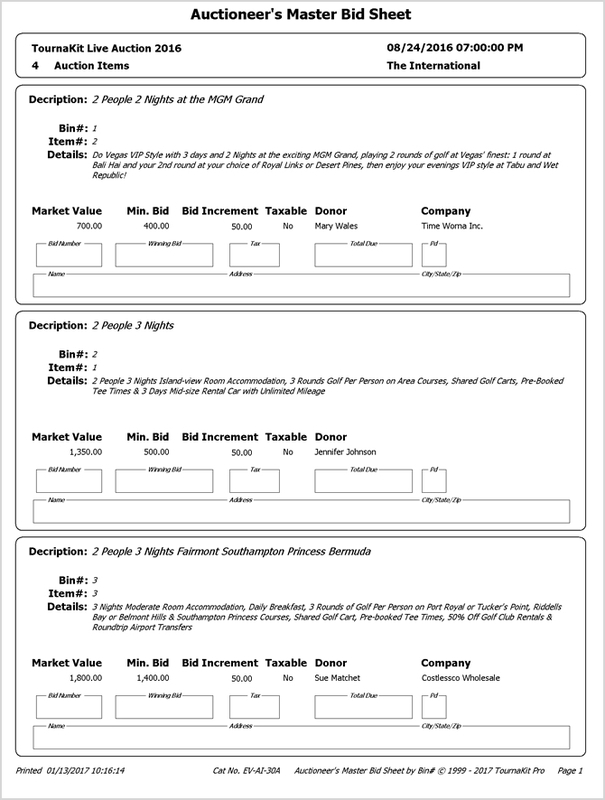 in the auction catalog, silent auction bid sheets, auction donor and auction buyer receipts, auction buyer invoices, auction item gift certificates, and auction reports. 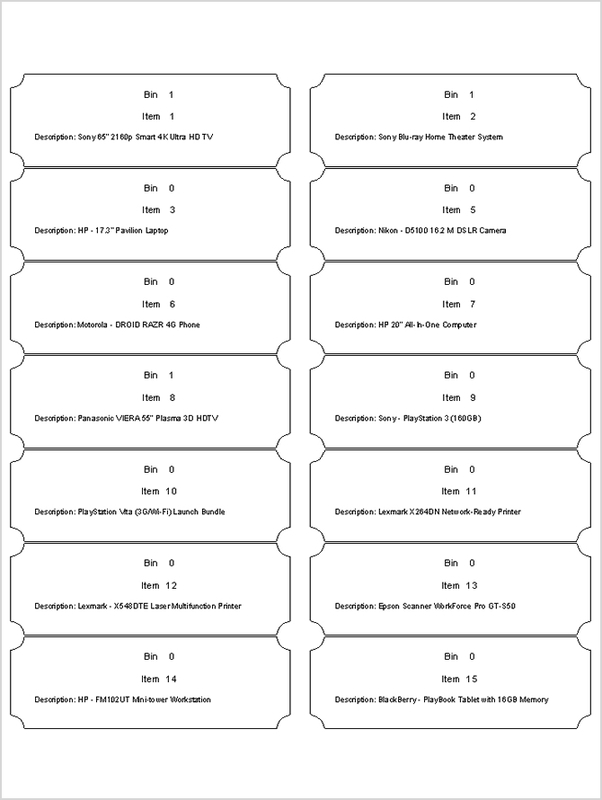 Using the auction item data from the above example we will now create an auction item cover sheet and auction item gift certificate. 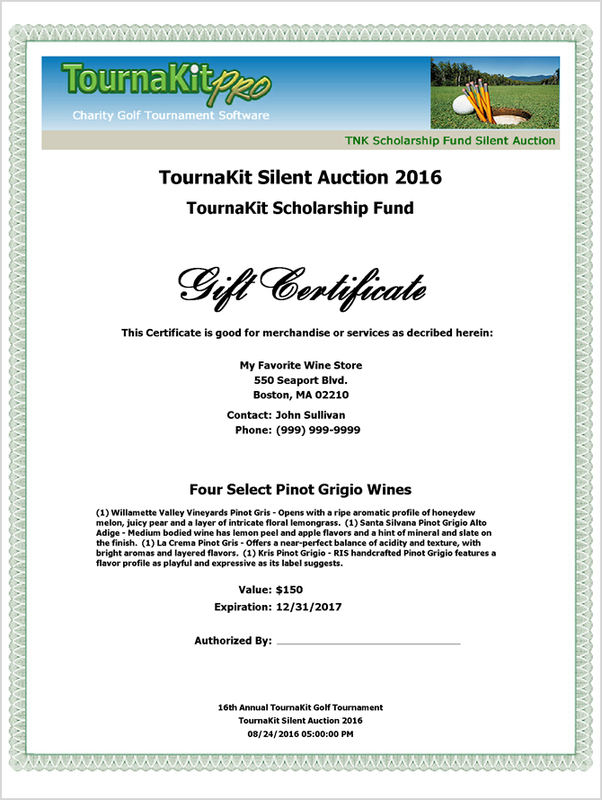 TournaKit Pro - Silent Auction Bid Sheet Options menu provides 108 template variations. 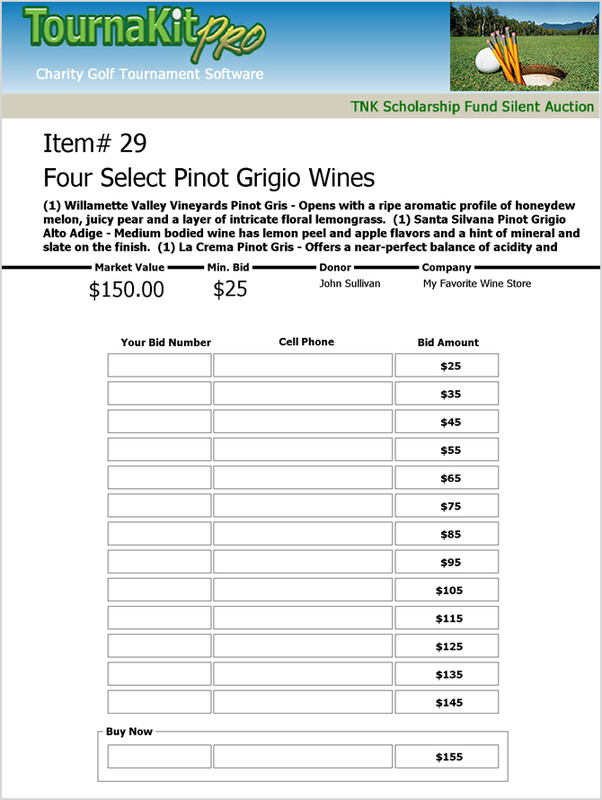 The sample silent auction bid sheet in the example below displays a full header image, a box for buyer bid numbers, and incremental bid amounts. 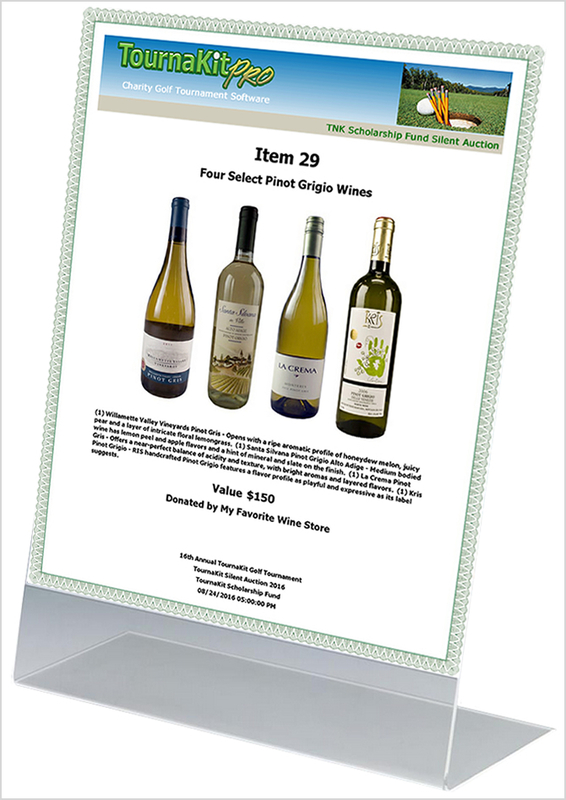 Go to 'Charity Auction Images - Silent Auction Bid Sheet Templates' for more silent auction bid sheet examples. 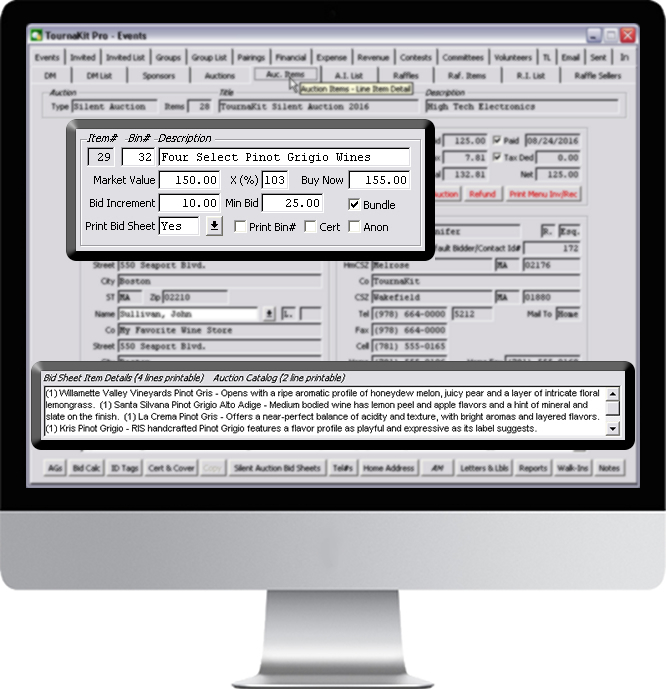 Live Charity Auction Software easily creates an Auctioneer's Auction Item Master Bid Sheet with a click. The Auctioneer's Master Bid Sheet contains all the auction item and buyer information needed to run your live auction. Notice in our example the auction items are sorted by Bin#. This field provides you preferential sequencing of your auction items. 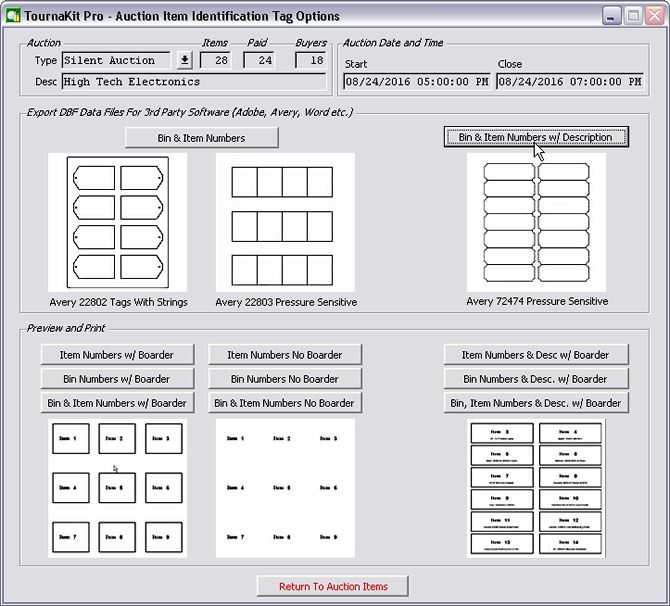 TournaKit Pro - Auction Item Id Options menu provides quick and automated method to produce auction item identification tags. Auctioneers find taging the auction items very usfull in maintaining organization pre, during, and post auction. Multiple auction payment options available; all inclussive event accounting makes it possible to record payment information for a single item, all items for a single auction or all items for all auctions. 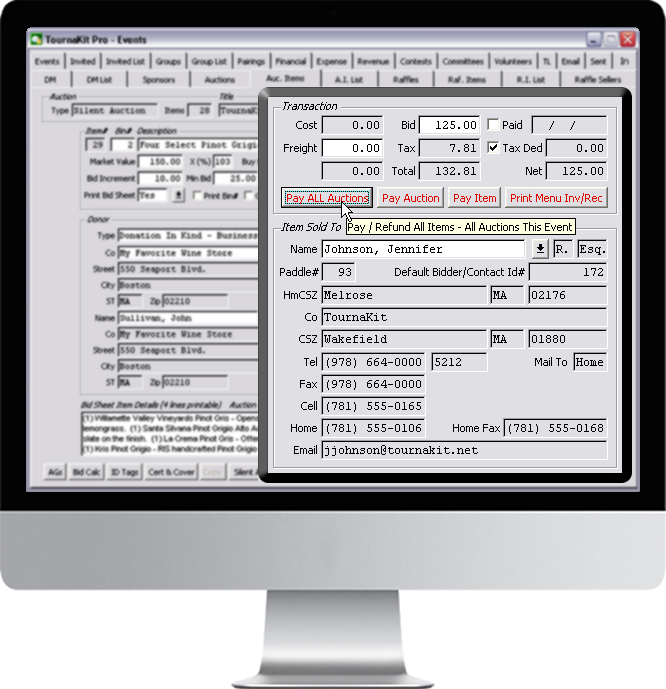 Speed up the payment process.